Your brand is not what you think it is! It is what your customers think it is; its brand image, personality and its value to them. I was lecturing at Miami University a couple of weeks ago on brand image and personality. These are two vital elements of branding. 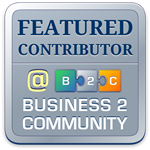 They need to be clear and consistently represented in all your communications. If you’re having issues with your own brand in either of these areas, then you’ll find the following article both interesting and valuable. Although this definition is a little sterile in my opinion for something as exciting as branding, I do like that it mentions customers. However, for me, a brand is created in both the minds and hearts of its customers. There has been so much said about the importance of emotions and resonating with the customer, that we should no longer forget them. And this is where image and personality play vital roles. They are both more or less created in the heart, rather than in the mind of the customer. We often buy brands without even knowing ourselves why we buy them. We can, of course, provide a clear reasoned answer when asked, but explanations come from the mind. The heart is what makes us buy. A brand is made up of a number of components, with which people learn to identify and recognise it. These include its logo, colour, pack, shape, taste, aroma, sounds and feel. There may also be other things which are directly associated with the brand, such as a celebrity, an event or a cause it supports. A brand needs to have a clear image, personality and equity in the minds of its customers. These come as the result of these branding elements as well as the customer’s own personal experience with it. All these elements must be respected in order to build a strong brand with which customers can identify themselves. If they’re not, then the brand is at risk of not developing correctly, or even worse, of becoming just a commodity. Therefore, it is vital for marketers to know and understand what their brand means to customers. Not just what it means for their organisation. And then, of course, to follow it over time through regular measurement. A brand is associated with many statements or attributes. These are what current and potential customers think or feel about it. They may have resulted from exposure to communications as well as from their own personal experiences. These elements are usually grouped into three types: the rational / functional benefits, the subjective / emotional elements and the cultural / relational factors. The third group was added by David Armano of Edelman Digital almost ten years ago. I like his idea because the relationships a brand builds with its customers have become vitally important in today’s world of social media. I did notice that he recently started referring to these as societal rather than relational, in line with today’s more usual vocabulary. Rational / Functional benefits include things on which everyone can agree and recognise. For example being crunchy, colourful, available everywhere or delivered in a glass bottle. 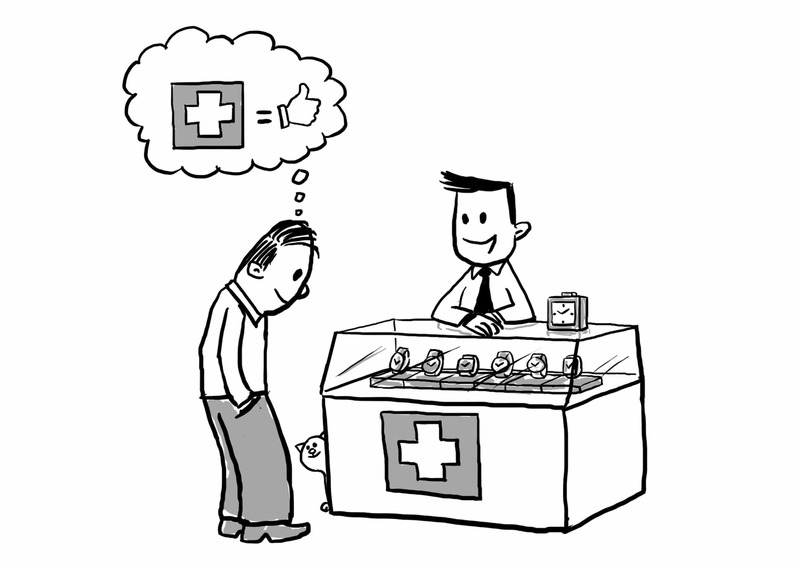 Emotional / Subjective elements are those which vary between customers and their personal appreciation of the brand. These might include good value for money, better quality, or gives the best service. Cultural / Relational (Societal) factors are those associated with a brand’s trust and responsibility. Customers today are increasingly interested in how a brand or corporation addresses its use of resources and whether or not they are sustainable and ecological. Brands also depend on recommendations from others, so word of mouth, especially online, has become a vital additional source of reputation. The attributes measured could include trustworthy, a brand I’d recommend or cares about its customers. David Armano showed that incorporating all three elements into a brand’s image results in a stronger brand. It is much more likely to have a better performance than those brands which don’t include the societal elements. He reported that it is in recommendations and sharing brand content that the most positive impact can be found. Customers are also more likely to share their personal information with the brand and to buy it more often. Both of these actions demonstrate an increase in trust, a precursor of both loyalty and advocacy. The final power metric is that this trust results in customers defending the brand. This is a wonderful support to have in a world where everything is known at the click of a button. A brand which has the trust of its customers will be more often forgiven for the occasional mishap. I am often surprised by the lack of understanding about how to measure brand image when I work on branding issues with clients. Even large companies don’t do a good job of it in general. They measure too frequently, in the hope that their latest advertising campaign has had the desired impact. This is rarely the case as images take time to change. Or they measure too infrequently, if ever, and don’t know what their current brand image is. Another problem I find is that the choice of attributes is often sub-optimal, to be polite. They should be selected to cover all the main elements of your desired image as well as that of the competition. I have often seen clients happy that they are scoring better than their competitors. However, when I examine their metrics I find that they are missing those which would better represent their competitors’ brands. No wonder they are doing well! A further mistake I encounter is trying to measure advertising slogans. While it is important to understand whether your message is heard and understood, this should not be done in a brand image survey. Advertising slogans should be evaluated through a communications test. Brands have personalities, just like people. 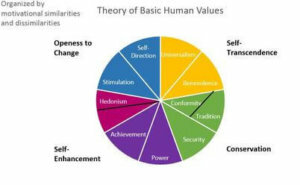 It was Schwartz who first identified the ten human values which make up our personalities. They are important to understand, especially for regional and global brands, because they cut across cultures. The twelve archetypes are illustrated on the left, together with some sample adjectives to describe them. It is important to understand how customers see your brand. Do you know? The personality of your brand should resonate with your customers, either because they are similar, or because they provide the dream lifestyle your customers desire. Either way, it is essential to understand what role your brand is playing. The personality of your brand should resonate with your customers, either because they are similar, or because they provide the image your customers desire. Either way, it is essential to understand what role your brand is playing. 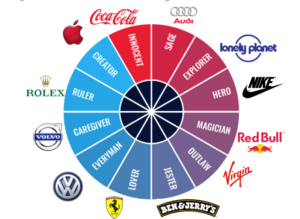 As the diagram on the right shows, there is no ideal archetype and brands can successfully grow by representing any of them. What is vital is that the archetype is portrayed consistently across all communicationsand visualisations. For more ideas about improving your Brand’s Image & Equity, why not join the FREE Customer Centricity Champions Webinar? 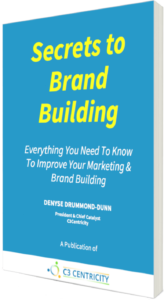 It shares many tips, tools and templates to catalyse your business and improve your customer understanding immediately. During my lecture at the University of Miami, I shared many examples of brand images and personalities. These included showing how some brands have successfully managed to change theirs. Two of the brands we discussed were Axe and Old Spice because they have gone through some interesting evolutions over the years. Most recently it even appears that they are overtly challenging each other through their advertising. Take a look at the ads below and see if you can identify the archetypes before continuing to read the post. AXE: This Unilever brand has been portrayed as the Lover, the Hero and most recently as the Everyman. Here are a couple of their ads to show the transition from Hero (Fireman) to Everyman (Find your magic). In particular, note the shower sequence at the end of the second Axe commercial (a slight - or is it a sly - dig at Old Spice?) and the heroic fire demonstration in the Old Spice ad! OLD SPICE: This P&G brand has been portrayed as the Explorer, Everyman (The Man Your Man Could Smell Like) and most recently as the Rebel (Rocket Car) - or is it, Hero? Let me know which you think in the comments below. As I did for Axe, I've selected an older and a more modern example of their campaigns, so you can compare the change of approach. I am looking forward to seeing how these two ad campaigns continue to develop. It is clear that Unilever and P&G are closely following and perhaps even being inspired by each other. Those are two of the actions of great marketers. Mac: Cool, trendy, young, friendly, casual, reliable, fast and looking for fun. PC: Boring, formal, cold, old, unreliable, slow, not inspiring. Which two archetypes do they suggest? Answers in the comments below, please. A brand's equity is the value of the brand in the eyes of its customers It is the power it has derived from the goodwill and recognition that it has earned over time. A strong brand equity comes from the development of a robust image and personality. Both of these need to be reinforced by every advertisement, message and promotion that the brand produces. Consistency is vital to growing a strong equity. The results of doing this will be both higher sales and profits, due to being valued more than its competitors. Consistency is vital to growing a strong equity. The results of doing this will be both higher sales and profits, due to being valued more than its competitors. The importance of a brand's equity is clearly indicated by the many different sources of regional and global brand equity rankings published each year. The two most well known, Interbrand and Millward Brown's BrandZ, have slightly different algorithms and therefore results, but both include financial as well as consumer metrics. analysis of the brand’s competitive strength. Together with extensive desk research and an expert panel assessment, Interbrand also includes data from Reuters, Datamonitor and media platform Twitter. How “meaningful” the brand is, its appeal & ability to generate “love” and meet the consumer’s expectations and needs. How “different” it is, what unique features it may have and its ability to “set the trends” for consumers. How “salient” the brand is, whether it springs to mind as the consumer’s brand of choice. It is interesting to note that BrandZ's 2016 show Google overtaking Apple as the most valuable brand in the world. The other major difference in rankings of the top ten brands is the higher number of more "technical" brands in the Millward Brown results. So there you have it. All the major points a marketer should know about brand image, equity, personalities and archetypes. A marketer's role is primarily to defend and grow its brand's image and equity through a strong personality and consistent communications. If you are not succeeding in all areas then you are almost certainly challenged by weakening sales. Brand image usually declines before sales do, so it is an invaluable measure of your brand's health. If you would like to learn more about measuring and analysing brand image, there are several chapters dedicated to the topic in my book "Winning Customer Centricity". Don't forget to add your answers to the couple of questions I asked in the article in the comments below. Let me know what you think about defending brand image and growing equity. And I'd love to hear about your own brand's archetype and whether you had trouble in defining it. This post uses images from Denyse's book "Winning Customer Centricity". You can download the first three chapters for free HERE. Are you Jeopardising your Customers' Loyalty? Or is it Going to Disappear Anyway? New Thinking, New Ideas, New Successes!